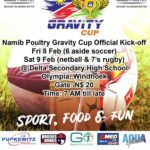 ALL roads for school sport fans and supporters leads to Delta Secondary School in Windhoek’s Olympia suburb where the hugely popular Namib Poultry Gravity Cup is currently underway. Thousands of learners, parents and supporters are expected to compete over the next two days. 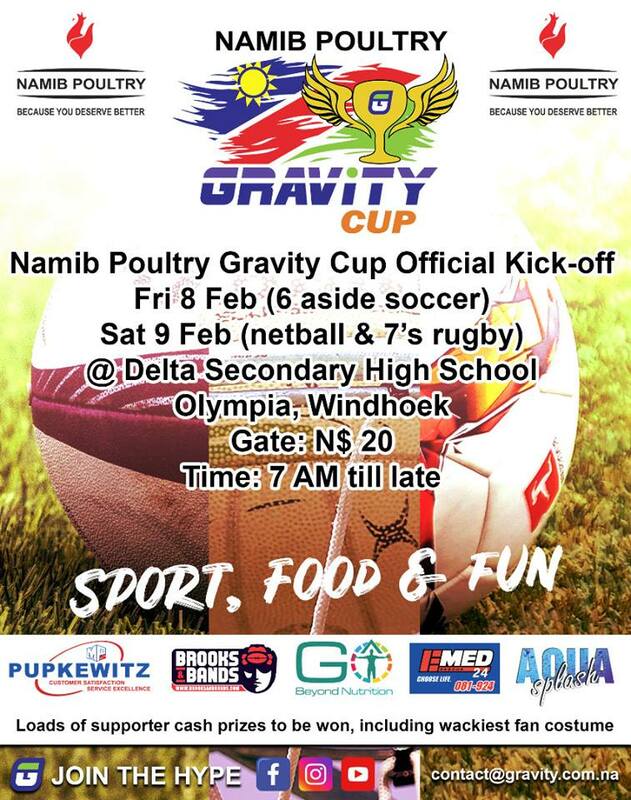 Today the six-a-side soccer matches will take place while netball and seven-a side hockey will be contested. Supporters will also stand a chance to win cash prizes while in the true spirit of a fun day the wackiest fan costume will be rewarded as well.